This gorgeous handmade kilim rug is woven on a handloom which is operated by human effort. This is woven in pure natural material like wool and cotton. It is a kilim area rug and woven in flat-woven technique. Due to the cotton foundation, it is a highly durable rug. Renovate your room with this gorgeous handmade kilim rug. This rug is woven in wool and cotton material on a handloom. It contains a perfect color combination. The primary colors are light orange and blue color. 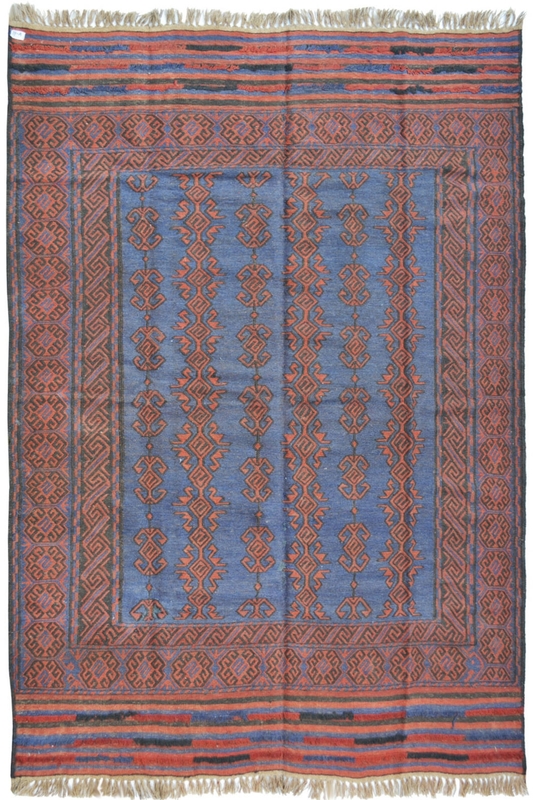 The ground of this rug is in blue color and design is in light orange color. It is a highly durable rug. You can wash it at your home using detergent and warm water.